Crossed between a Cavalier King Charles Spaniel and a Bichon Frise, the Cavachon is a spirited pup with overall good health, however, there are a few genetic traits that the parent breeds pass down. Most crossbreeds are bred through generations, so there could be a slew of possible health issues to be concerned about, but for most dogs health problems do not develop until later in life. If the conditions are however birth defects, most of those health conditions can be corrected with surgery. This condition occurs when the cushions between the vertebrae begin to swell and bulge, causing the discs to press against nerves and other vertebrae. It is extremely painful and requires immediate attention to avoid paralysis. Symptoms include weakness, lameness of the back legs, a hunched form, wincing or yelping during everyday movements, trouble keeping upright, and lethargy. 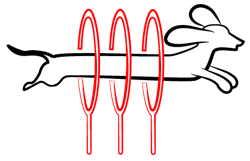 Surgery is required to remedy this condition, as well as pain medication through the healing process. This condition, commonly a birth defect, is caused by a malformed joint and socket dislocating from one another. Symptoms include an obvious limp or an awkward gait, which can be painful. If left untreated, your pup will likely develop severe arthritis and suffer from nerve damage due to cartilage deterioration. Surgical intervention is required to correct this condition. Due to their small size, these pups are prone to health issues that affect their joints and bones. However, the Cavachon can also develop health conditions that any breed can suffer from at any age, such as heart disease, heartworms, and parvo. This is why parasite treatments and vaccinations are important to keep current on throughout the lifetime of your pup. On average, a Cavachon boasts a lengthy lifespan of 10 to 17 years. This is 3 to 5 years longer than either parent breed’s average lifespan. Cheerful, gentle, and loveable, the Cavachon is an affectionate, friendly crossbreed with a spirited, lively energy that radiates from their happy little expressions. These pups are great with children and other dogs, but they have a tendency to develop small dog syndrome. You can keep your Cavachon from declaring dominance on much larger dogs with proper training sessions and early socialization from a young age. Teach your Cavachon tolerance and acceptance as a puppy, and they will carry those lessons with them as they grow older. For exercise, the Cavachon would be happy romping and playing in a fenced-in backyard or they would love going on a couple of long walks with you throughout the day. These pups are big explorers, often curious of the world around them, so expect some impromptu digging and lots of sniffing when you take your Cavachon out for a stroll. Cavachons can have the slightly curly, soft hair of the Bichon Frise, or the lengthy, ruffled hair of the Cavalier King Charles Spaniel, or a mixture of the two coats. 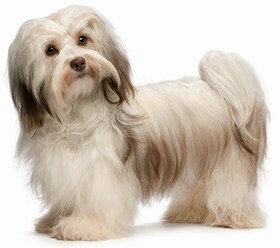 Brush your Cavachon daily to prevent knots and tangles from forming. You should also bathe your Cavachon once a month or whenever they get dirty or stinky. 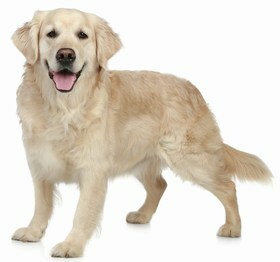 Either way, use a gentle dog shampoo to protect the important natural oils that coat their fur and protect their skin. Cavachons have hearty appetites and most of them are prone to begging for food between meals. You can help them banish the need to beg with a scheduled meal plan that their internal clocks can learn and follow. Divide 1 to 1 ½ cups of dry, high-quality kibble into two meals, once in the morning and once at night. This will help your Cavachon stay full and satisfied throughout the day. Cavachons also need proper hydration to maintain good overall health. Purchase a couple of automatic water dishes for strategic placement around your home, and keep them filled to the brim. This will allow your Cavachon to get a drink whenever he needs one. 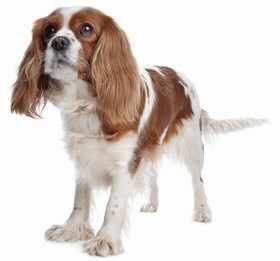 Cavachons are newer crossbreeds, so it might be difficult to find a breeder at first. Your aim is a reputable, reliable breeder with well-documented history to back up their honorable, trustworthy reputation. 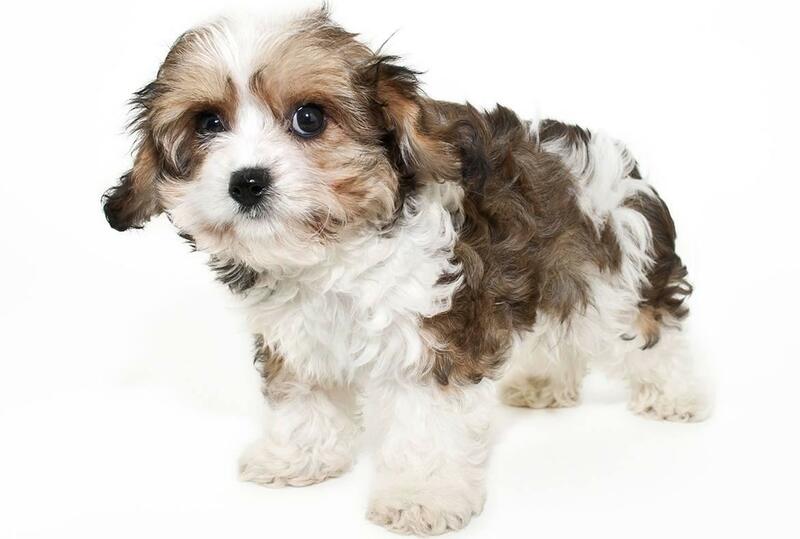 On average, a Cavachon puppy costs between $600 to $800, however remember that there are also toys, vet check-ups, emergency medical funds, vaccination updates, and nutritious kibble to factor into the initial, and long-term, costs. Since the Cavachon is a rare crossbreed at the moment, you might be hard-pressed to find one of these pups in an animal shelter or rescue group, but you could look—just in case. You might get lucky, in which case, the adoption fee for a Cavachon will be between $75 to $250. For smaller crossbreeds, it is closer to $175, but the fee varies based on state, county, and shelter regulations. You also have vaccinations and a spay or neuter service to consider before your Cavachon comes home. If you opt for the shelter to perform these services, it will approximately be an additional $175 to $300, so your overall total could be just over $500. As you can see, these pups, like all dogs, are big commitments and big responsibilities. Ranking takes into account a few basic factors including cost, skill level needed, high vs low maintenance and how critical regular training is to success. Cavachons are a 1.5 on the integration scale. These pups are ideal for family life, as they have proven to be affectionate, friendly, boisterous, and sweet. They love romping in the backyard as much as they love cuddling on the couch. The only downfall is the possibility of small dog syndrome, where small dogs feel the need to compensate for their size by being dominant and also challenging other larger dogs. However, this syndrome is easily taken care of with proper training and socialization. So, in the end, you can wind up with a gentle companion to add to your family!